It's kind of surprising that Super Bowl 50 would be the event that dragged me out of my blogging rut, given that it was probably the most boring Super Bowl I've watched in many years. I'm the first to admit that I don't watch many football games, but I don't think I've ever seen more uncompleted downs (is that the correct term?) in any game. 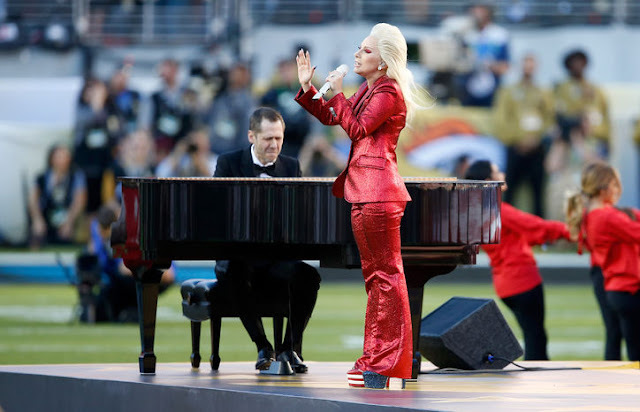 This time around, I don't think anyone could argue that the highlights of the event were Lady Gaga singing the Star Spangled Banner (those nails! those eyes! ), the halftime show (and all the Coldplay memes that followed! 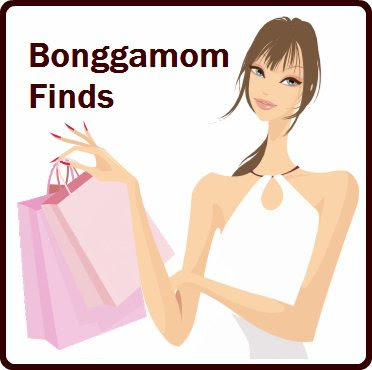 ), and the ads. 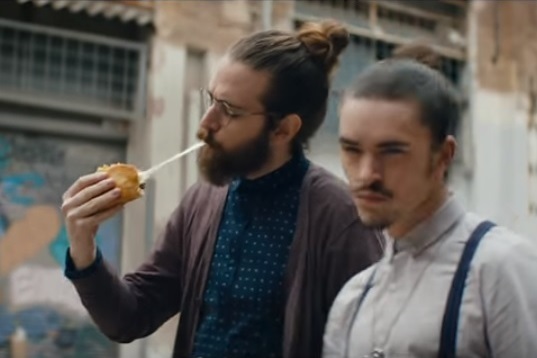 In this ad, Taco Bell compares their latest product, the Quesalupa, to some of the hottest trends around, like man buns, drones, and hoverboards. The best part is when they say the Quesalupa is going to be bigger than football.... then show Neymar kicking a soccer ball, closing with, "The Real Football". BURN! Neymar in an American football ad! I thought it was adorable when the first ad showed babies presumably conceived on Super Bowl night (dressed in fan gear of the winning Superbowl team), but it got even better with their follow-up ads, where the "babies" got older and older, showing how fans "celebrated" Super Bowl wins over the past 50 years! 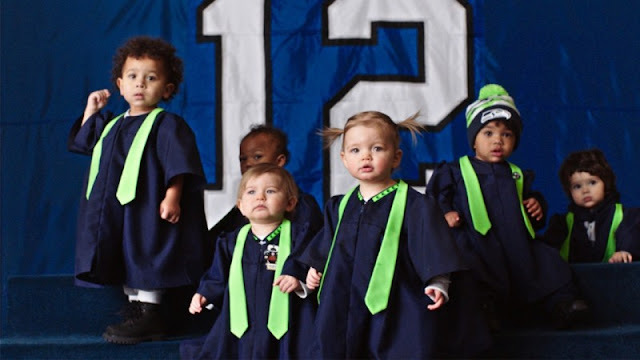 The final ad was the best, because you got to see 50 years of Super Bowl Babies being serenaded by Seal. I'm a sucker for a cool vehicle, gorgeous portraits, and a "through the years" theme! Jeep is celebrating their 75th year, so their ad tied in perfectly with Super Bowl 50's milestone celebration. 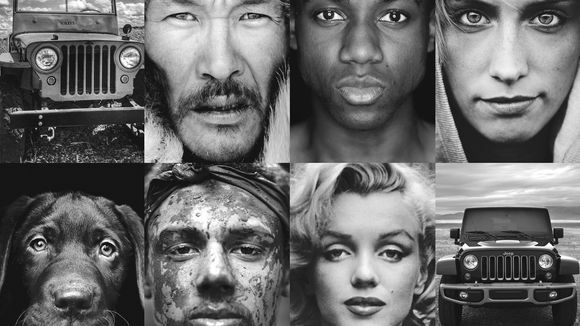 The ad featured photos of Jeeps through history and the people who drove them (including famous faces like Marilyn Monroe, Jeff Goldblum, BB King and Aretha Franklin). I'm not an animal lover, but even I couldn't help melting at the sight of all those daschunds dressed as hot dogs, scampering (is there anything cuter/funnier than daschunds running?) towards the Ketchup Family (a family dressed in Heinz products costumes). Best of all was the adorable little girl dressed as a ketcup packet!! Aaaargh! Cuteness overload!! 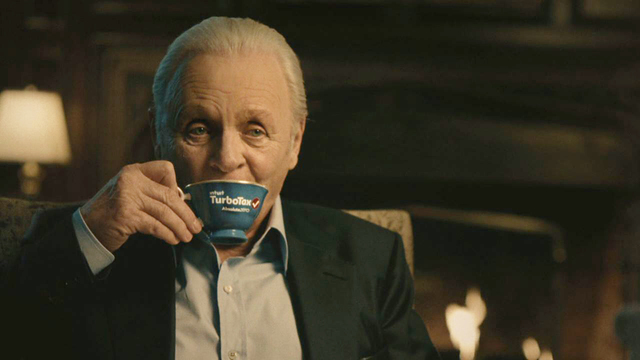 I thought it was brilliant that Intuit managed to get the great actor Anthony Hopkins to star in their ad, and even more brilliant that they got him to poke fun at himself for "selling out", by insisting that he wasn't selling out even as he plastered himself (and his dog) with Intuit ads! 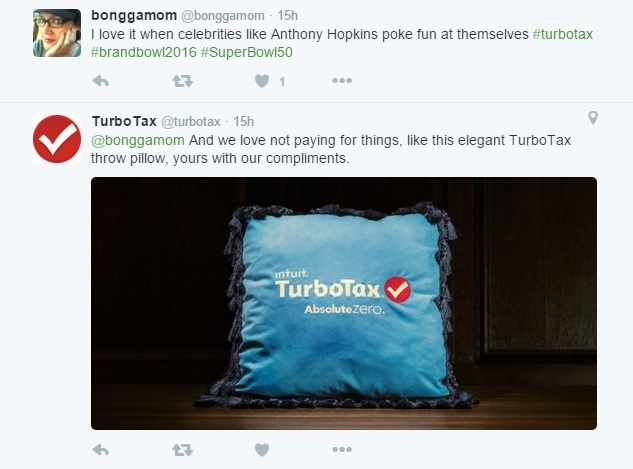 Funny story: when I took to Twitter praising the ad, they gave me a throw pillow! I swear, I liked the ad even before I won and that's not why I'm including it here. I don't even like the pillow, but I'm going to tell myself this pillow was one used in the Anthony Hopkins ad. Because Willem Dafoe was dressed as Marilyn Monroe. Because Ryan Reynolds was in it... playing pretty much everyone (#eyecandy). Actually, all the Hyundai ads were pretty good! Because Steve Harvey poked fun at his Miss Universe announcement disaster. Because I'm a sucker for Marvel's Avengers. If only Mark Ruffalo and Paul Rudd were actually in it! Because it was a tribute to fathers and sons, and to David Bowie. That Puppymonkeybaby was just hideous. Call me an old fogey, but it was just plain dumb. The CG was really bad, with the baby's legs looking all wrong. It looked like I could have done a better job pasting the creature together... with Microsoft Paint. I don't even remember what went on in these ads. You know why? Because they looked like ads we see on the TV every day. The rest of the family loved this, but I thought it was horrible. Seeing a fetus acting like a trained dog, salivating over a Doritos chip -- and seeing the dad treating his kid like one -- was just distasteful. 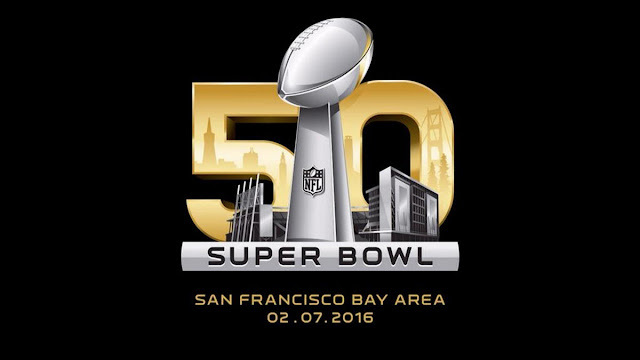 Which Super Bowl 50 ads did you like? Which ones did you hate?